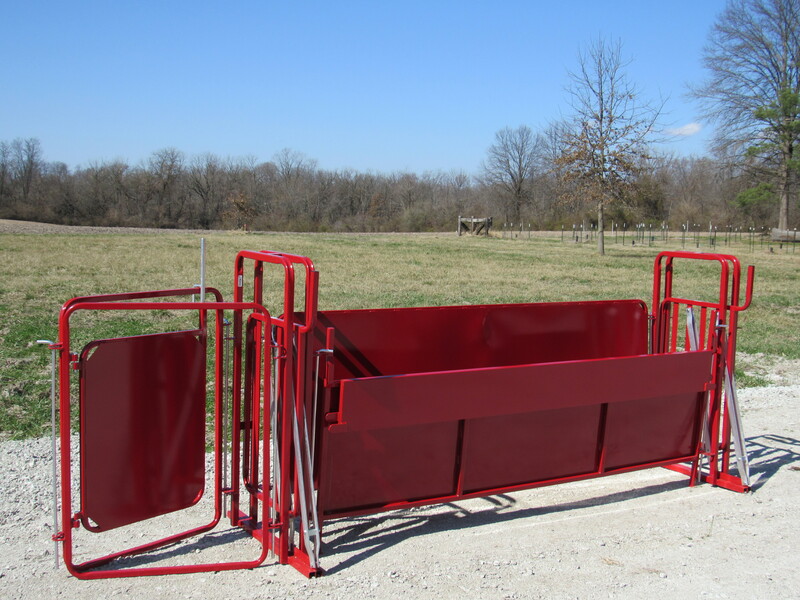 The Regular Chute System is lighter weight and shorter in length than our Heavy Duty Chute Systems. 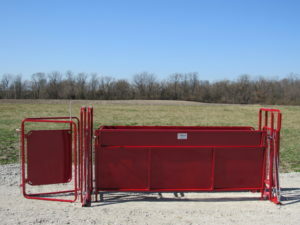 In addition to our traditional Heavy Duty Chute System components and packages, we also have Regular Chute System packages by changing only two components to give our Ketcham’s Kustomers more choices when it comes to purchasing a chute system. Our traditional Heavy Duty chute systems have 10 foot Solid Panels and 10 foot Drop-Top Panels therefore, making up our 10, 20, and 30 foot Chute System Packages. 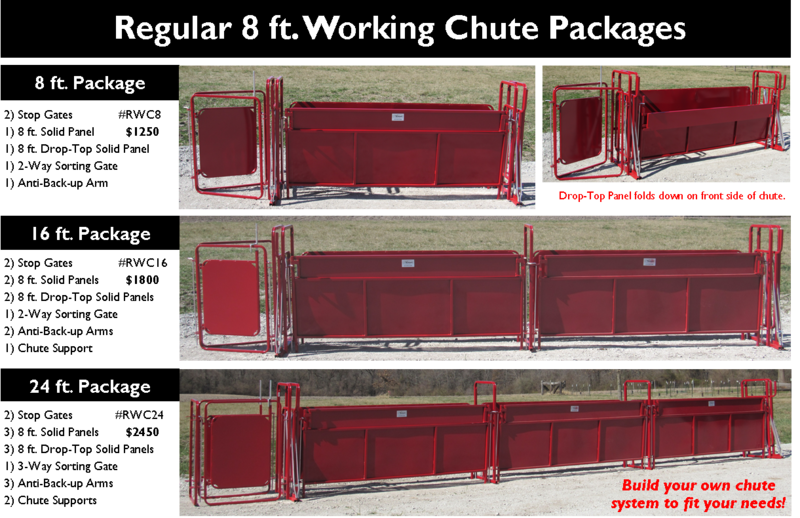 The Regular Chute System has 8 foot Solid Panels and 8 foot Drop-Top Panels therefore, making up our 8, 16, and 24 foot Chute System Packages. Both of the 8 foot panels can be purchased individually just like all of our chute components can be purchased. 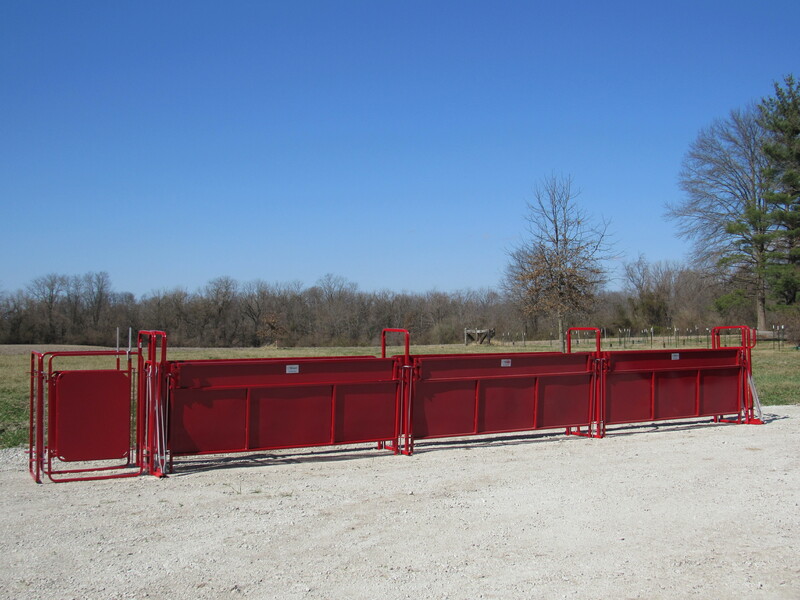 The other components that make up our Regular Chute System packages such as the Stop Gates, Sorting Gates, and Anti-Back-up Arms, are still the same as in our traditional Heavy Duty packages. The 8 foot Solid Panel and 8 foot Drop Top Panel will be lighter in weight not only because of the reduction in length but also because we are using 1” square, 16 gauge tubing versus our 1 1/4” square, 14 gauge tubing in our big heavy traditional chute panels. With that being said, the material modification also allows us to sell the panels at a more economical price. Freight also becomes more economical for those needing to ship the equipment. The panels will be easier to pick-up, move or haul, store, and will still be made with the same Ketcham’s quality. The Regular Chute System is ideal for smaller operations and use in compact spaces. To have a complete set-up, we recommend adding our 10 foot Circle Pen Package and our Tilt Table to this new system. 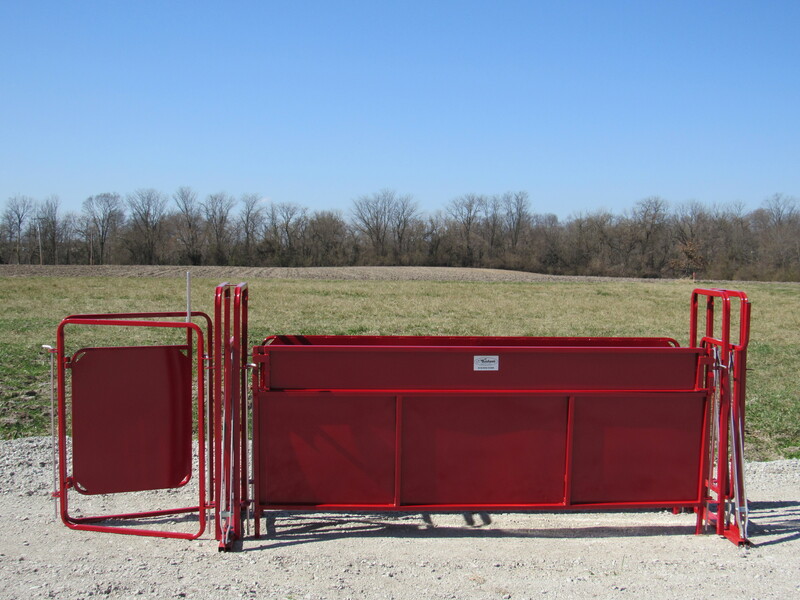 As always, all of our panels, gates, chutes, and chute components are all compatible and will all attach to each other for added versatility including the new 8 foot Solid Panel and 8 foot Drop-Top Panel.